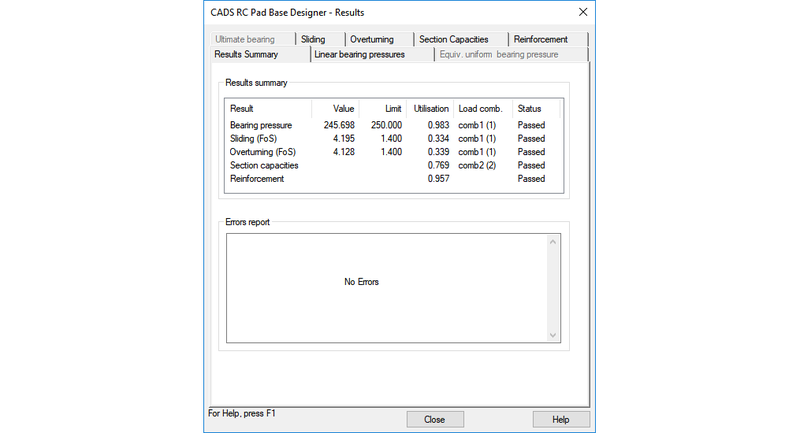 CADS RC Pad Base Designer executes the designing or checking of bases rapidly and reliably and can be used stand alone or as part of the CADS integrated analysis, design and detailing solution. 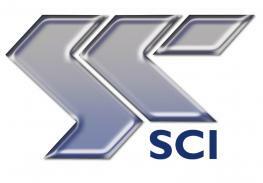 It can check a user-defined base design or auto design an optimum solution to suit user and code criteria. 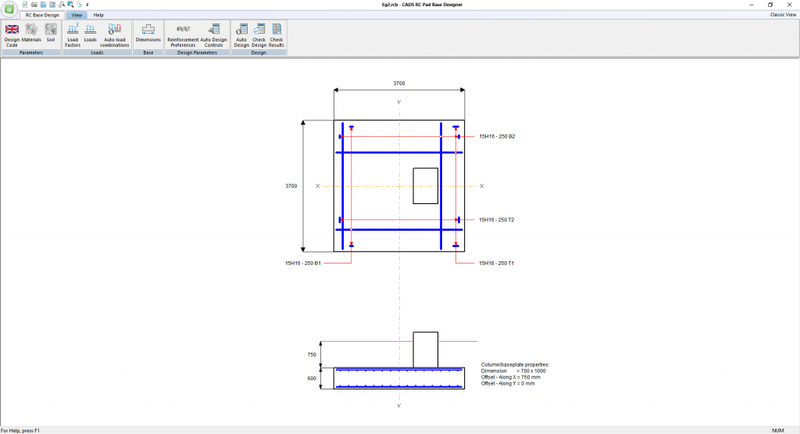 Batch processing and common design groups are available when integrated into CADS A3D MAX. 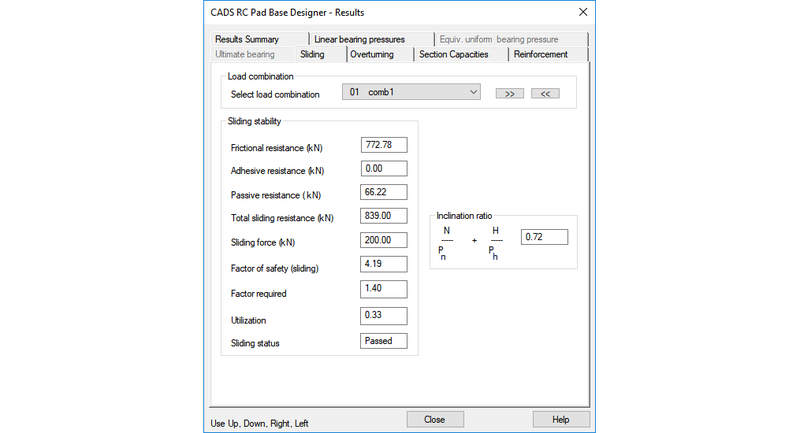 Calculations and details of the selected solution can be printed onto a single A4 sheet or exported to Microsoft Word and detailed automatically in AutoCAD using the CADS RC Pad Base Detailer Macro. 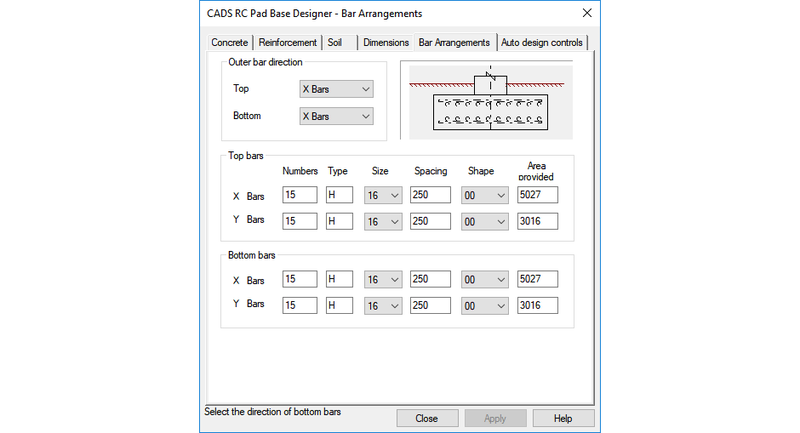 CADS RC Pad Base Designer can be used on its own, enabling engineers to enter the forces and moments to check designs, or it can be used as an integrated solution with frame analysis programs such as CADS A3D MAX. CADS RC PAD Base Designer is available in fully integrated versions operating within CADS A3D MAX, SMART Portal 2D and 3D. This also enables the batch processing of bases for complete frames. 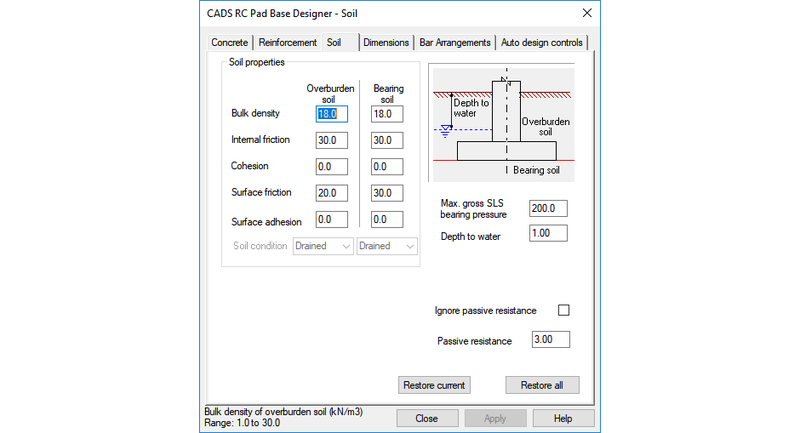 CADS RC Pad Base Designer has a comprehensive set of design options covering mass concrete, reinforced bases, strip footings, bases for off centre columns in both directions and loading acting horizontally with uplift, or moment in either axis. This ensures that the engineer has ultimate control, whether a simple or more complex solution is required, with full error diagnosis. 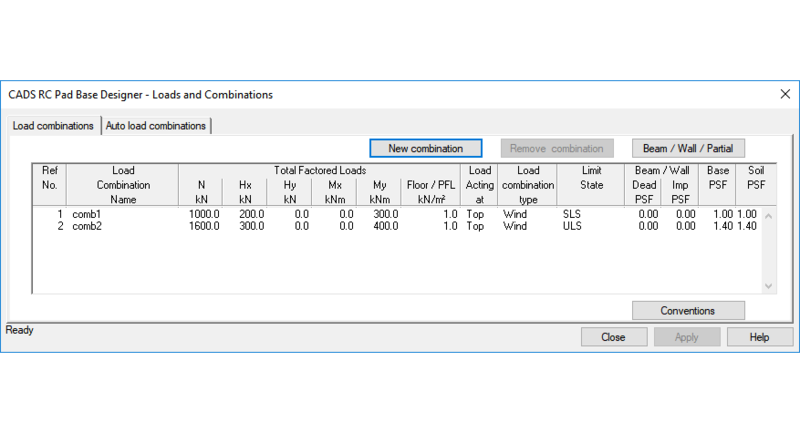 The Autodesign facility enables the user to specify parameters and preferences to produce a fully automatic design in reinforced or mass concrete. Designers find all the information they need displayed on the screen which means fast optimisation of the design. The program produces a full and rigorous design check of the selected bases. The engineer can then select brief or detailed output. The option to create output in MS Word enables project calculation files to be created.